This refers to cancerous tumors that develop in the throat, larynx, or tonsils. The throat is a muscular tube that begins behind the nose and ends in the neck. The voice box sits right below the throat and is also vulnerable to being affected by throat cancer. 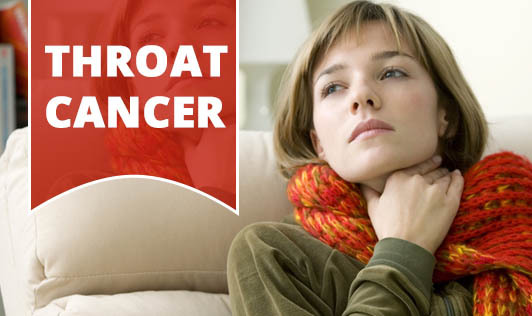 Throat cancer usually occurs when the cells in one's throat develops genetic mutations which causes cells to grow uncontrollably and continue living even after the healthy cells would normally die. There are different types of throat cancers although most throat cancers involve the same types of cells. The cause behind the uncontrollable mutation is unclear, but doctors have identified factors that may increase one's risk of throat cancer.